Mold, algae and moss on walkways, especially when wet, pose a slip and fall hazard. Just looking at this picture it is apparent how the algae here became an almost oily slick around the hot tub. Especially concerning if grand children come to visit. 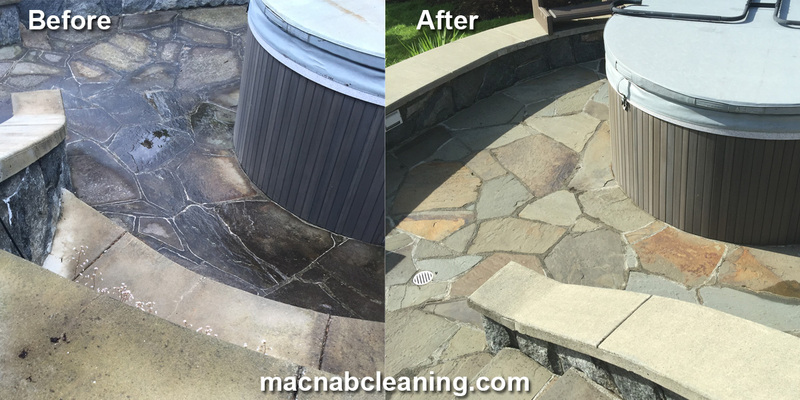 Both the surrounding stone work and the hot tub itself were treated and cleaned, ridding the algae and black stains, and returning a firm footing to the tub access. The kids can play again.